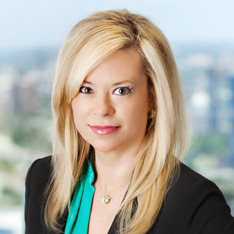 Missy Leon joined DeHay & Elliston as an Associate in January 2000, and became a Partner in January 2008. Ms. Leon has handled civil litigation in Texas and California state courts, and in federal district and bankruptcy courts. Her practice is focused on commercial, professional liability, and personal injury litigation. Ms. Leon has represented clients in commercial litigation matters involving breach of contract, fraud, and tortious interference claims, and in matters concerning noncompetition agreements. She has also handled a variety of personal injury matters, including catastrophic injury and wrongful death cases, and has defended product liability, negligence, and premises liability claims against Fortune 500 companies, pharmaceutical manufacturers, pharmacies, major retailers, and automotive supply manufacturers, among others. Ms. Leon also has experience in professional liability litigation, including legal malpractice matters and director and officer liability cases involving negligence and breach of fiduciary duty claims. Ms. Leon received her B.A. in Psychology in 1996 from Southern Methodist University and her Juris Doctorate in 1999 from Southern Methodist University School of Law, where she served as Senior Articles Editor of the SMU Computer Law Review and Technology Journal. She was admitted to the State Bar of Texas in 1999, State Bar of California in 2009, U.S. District Court, Eastern District of Texas, in 2001, and U.S. District Court, Northern District of Texas, in 2002. Ms. Leon is a member of the State Bar of Texas, State Bar of California, Dallas Bar Association, Fellows of the DAYL Foundation, and Attorneys Serving the Community.